To run some tests on the new machine I decided to put the quilts to the side for a few days to sew up a pillow. The pillow uses scraps from Dreaming in Honey (the extras when making the diamond in a square blocks and will let me practice piecing, quilting, making piping and general sewing. It was in the corner and that made it easy to fix. Here are the steps I took to fix it. Press seam then sew the row from a couple stitched before where the seam is cut to to the edge, then press! Use scraps to make envelope closure for 18″ pillow form! Then I’ll have a magnificent pillow. Gonna use this little interruption project to get comfortable on the Pfaff machine then it’s back to the pile of UFOs. Finished piecing the front of the pillow – all fixed now! What’s the latest mistake you’ve made? Tell us what it was and how you fixed it in the comments! 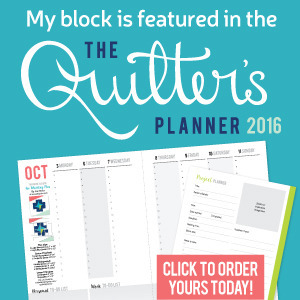 I had this too the other week except that the quilt was half done and on my longarm machine. My customer had 1/4 turned the tails on a snail trail block- so I ended up taking it out and hand piecing it back in- very stressful! Oh goodness Yvonne, I’m sure that was a giant sigh of a moment when you spotted the mistake. I think it’s really important to share mistakes for other people to learn from. There’s much to learn between how to avoid mistakes and how to recover from them! I’m so glad I’m not the only one that make’s mistakes. Yesterday, I was piecing the back for a quilt and didn’t notice that I had used two different shades of black until it was complete! Ugh! I’m so glad I’m not the only one that makes mistakes. Yesterday, I was piecing the back for a quilt and didn’t notice that I had used two different shades of black until it was complete! Ugh!